Cheap non-stop flights from Paris to Sao Paulo, Brazil from €383! Excellent option for travelers in France to fly on a direct service from Paris to Sao Paulo thanks to promotion of French airline Aigle Azur. If you are budget traveler looking for the cheapest flights on a direct service to Brazil this autumn and you can easily reach Paris do not miss this amazing promo sale. Based on discount of Aigle Azur you can book very cheap non-stop return flights from Paris Orly to Sao Paulo incl. 23kg checked-in luggage. (Fare is inclusive of all taxes and fees as well as onboard meals). Aigle Azur promo sale offers the cheapest flights from Paris to Sao Paulo from February to May or in September 2019. (Simply follow below link to the airline´s low-cost calendar). At this moment good availability at the cheapest fare. Max stay 1 month. You can book cheapest flights Paris Sao Paulo by 5th of October 2018. Below you can refer to our booking as well as few travel samples. São Paulo is the largest city in Brazil, with a city population of about 11 million and almost 20 million in its metropolitan region. It is the capital of the Southeastern state of São Paulo, and also a beehive of activity that offers a jovial nightlife and an intense cultural experience. São Paulo is one of the richest cities in the southern hemisphere, though inequality between the classes typically observed in Brazil is blatant. Historically attractive to immigrants as well as (somewhat later) Brazilians from other states, it’s one of the most diverse cities in the world. São Paulo, or Sampa as it is also often called, is also probably one of the most underrated cities tourism-wise, often overshadowed by other places in the Brazilian sun & beach circuit such as Rio de Janeiro and Salvador. if you have booked these cheap flights from Paris to Sao Paulo you can read more about this city at Wikitravel. Travel dates. 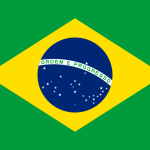 : Compare the cheapest flights Paris-Sao Paulo at website of the carrier. Need affordable hotel in Brazil book your accommodation via Booking.com or Hotels.com. If you have booked these cheap flights from Paris to Sao Paulo you can also compare best prices for car rental in this destination via Rentalcars.com. Booking sample of cheap non-stop flights from Paris to Sao Paulo, Brazil from €383! Your outbound date from France to Brazil would be on 16th of March. Inbound flight from this South American country back to Paris Orly on 30th of March 2019. Take advantage of this latest promotion from France to Brazil and book the cheapest non-stop flights from Paris Orly to Sao Paulo Viracopos!